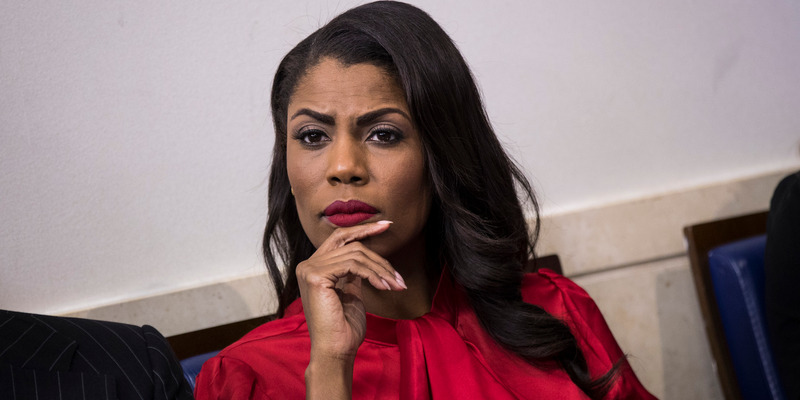 GettyOmarosa Manigault Newman recorded conversations with White House officials during her time in the West Wing. The former White House aide Omarosa Manigault Newman on Sunday released a recording she said documented the White House chief of staff, John Kelly, firing her in the Situation Room. Recording devices and mobile phones are banned in the White House Situation Room. A former National Security Council spokesman called it the most serious breach of protocol he’d ever heard of. In recording her firing in the White House Situation Room, Omarosa Manigault Newman may have carried out one of the worst security breaches in the history of the office. The Situation Room is where the president makes top-level decisions on national policy and often issues of life or death in response to war or other crises. National security professionals go to extreme lengths to ensure the security of conversations in and out of the room, which is known as a Sensitive Compartmented Information Facility. A team follows the president and can establish one of these secure rooms in short notice when needed. Importantly, staffers are required to give up recording devices or mobile phones when entering the room. Manigault Newman, who became a White House aide for President Donald Trump after starring with him on “The Apprentice,” apparently managed to get a recording out of the Situation Room of the White House chief of staff, John Kelly, firing her last year. She played the audio on “Meet the Press” on Sunday. Ned Price, a spokesman for the National Security Council during the Obama administration, said he’d “never heard of a more serious breach of protocol,” according to the news website Axios. Price on Twitter speculated how such a breach could take place. The White House also frowned on Manigault Newman’s actions. “The very idea a staff member would sneak a recording device into the White House Situation Room shows a blatant disregard for our national security – and then to brag about it on national television further proves the lack of character and integrity of this disgruntled former White House employee,” the White House press secretary, Sarah Huckabee Sanders, said. Manigault Newman has suggested she recorded conversations with White House officials during her nearly yearlong stint in the West Wing over fears others would lie about them. Tapes played by her on TV so far have contained little more than innocuous conversation, including her firing and Trump purportedly calling her the next day to say he didn’t know about the firing and was unhappy with it.